Lewis was born on 5th December 1921 in Ware, Hertfordshire, as the first surviving child of Thomas and Mary Misselbrook, followed later by Joan, Peter and Owen. He came to faith in Christ and was baptised at Hoddesdon Baptist Church at the age of 17. He was working in the Town Planning Department for Hertfordshire County Council at the outbreak of the Second World War and quickly signed up to join the RAF where he became a night fighter pilot, flying Mosquito aircraft. After the War, he met Molly through a Young Life Campaign in Hertford and their two lives began to be drawn inextricably together. Lewis and Molly were married in 1949 and were blessed with 3 sons – Christopher / Kris (1950), Peter (1951) and David (1956). 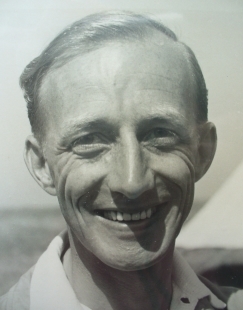 Lewis’ first ministry began in 1953 at Leavesdon Road Baptist Church in Watford. Here he began the ministries of outreach which were to shape the rest of his life and in which Molly was to prove an indispensable help. The congregation grew from around 200 to more than 300 before he left in 1961. It was while he was at Leavsdon Road that Lewis wrote the widely used booklets, Winning the People for Christ and Training in Visitation. These booklets were translated into several languages. 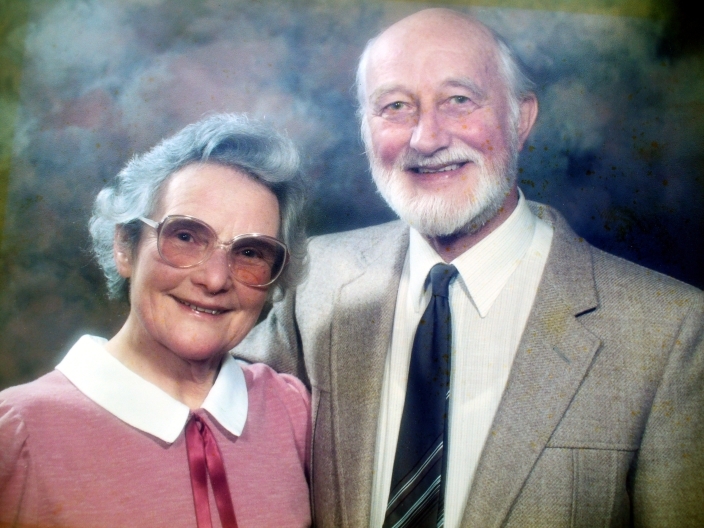 Lewis and Molly ministered at Park Road Baptist Church Rushden (1961-69) before leaving to pioneer a church plant in a new housing estate in Chelmsley Wood, Birmingham (1969-1974). This was demanding and exhausting work in which Lewis and Molly worked closely together. As the work at Chelmsley Wood became more established, Lewis accepted a research fellowship at Queen’s College, Birmingham (1974-1975) where he focussed on the need for every-member ministry. At the end of this year Lewis saw his future in lay training for mission. He worked first with the Mission Department of the Baptist Union (1975-84), and then in a similar role with the Baptist Union of Scotland (1985-1986). During these years, Lewis and Molly visited many churches, advising them on opportunities for growth and helping with door-to-door visiting. Together they wrote a book on evangelism called Love Won Another (1986). On their retirement, Lewis and Molly moved to Creech St Michael in Somerset. But they were not allowed to ‘retire’ for in 1992 they were asked to help a small village church in Fivehead. The church grew steadily and in 2004 was able to call a full-time minister. In that same year they moved to Pucklechurch in Bristol to be nearer to family. Sadly, Molly died in 2009, after which Lewis increasingly longed for glory – worried that Molly might have got so far ahead of him that he would have trouble catching her up. All three sons had the privilege of caring for him during his last two years before he passed peacefully into the presence of his Lord in the early hours of October 1st 2012. Lewis will be remembered for his passion for Jesus Christ, his concern to mobilise churches in Evangelism – and for his unique sense of humour!